"A fast, light weight web browser that maximizes your potential usage and anonymity on the Internet." 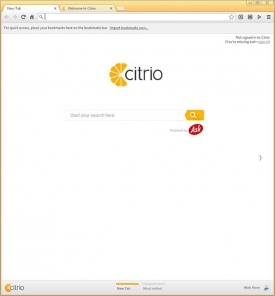 Citrio is a Chromium based browser that is fast and lightweight. It is polished and demonstrates the performance you have been craving in a web browser. It's fast initial startup time stands out right away as you first use the application. 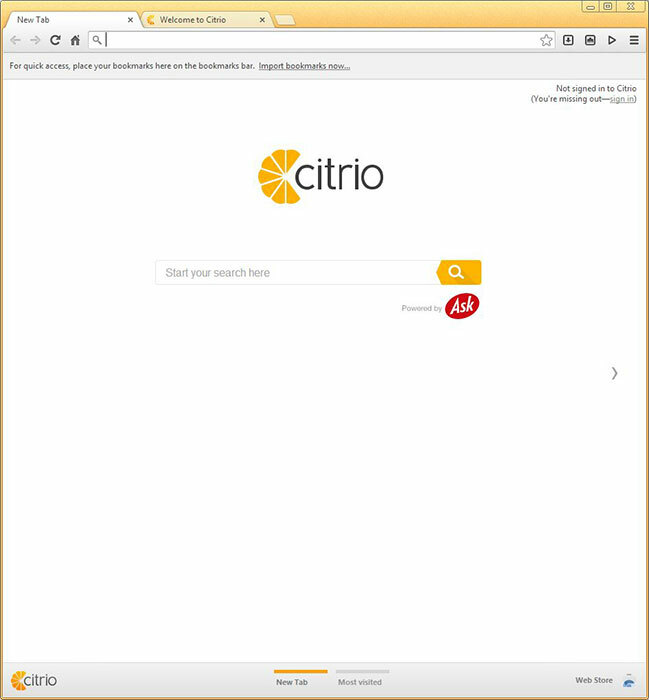 With the speed and efficient memory management of Chromium, Citrio won't hold you back when getting your stuff done. Privacy is an important aspect of Citrio. It doesn't gather any data that is personal to you and respects your privacy. The browser is designed to provide you with the highest security while using the Internet with built in anti-malware protection, while also providing you with frequent automatic updates that ensures you are up to date and have the latest security fixes. With Citrio, there is very little to worry about while using the Internet and you can surf with confidence. Having a rich extension library has it's perks, and these perks really stand out on Citrio. It has full support for all addons and extensions available in it's web store so you can manage your personal preferences and customization while using the browser. Easily increase the functionality of the browser by installing addons that makes using the Internet easier for you. A highly customizable browser is a good browser. Do you download files frequently? Perhaps more than one file at a time? Citrio's download manager is second to none and gives you full control of your downloads. Having direct access to the files directly from the browser, a built in download accelerator, and excellent layout and organization of the files being download or have been downloaded makes this download manager stand out from the rest. Unlike most browsers, Citrio has a built in torrent client so you don't have to download a separate application for your torrent downloads. Having access to magnet links through a browser is something you don't hear about very often and having access to all of your most common ways of downloading through one simple application makes your daily life just a little bit simpler. Expand your video library by using Citrio's "Video Grabber". A built in feature that downloads streaming video from the Internet without the need for using a website or extension. Citrio also has a Smart Proxy widget, which also comes with the web browser out of the box so you can easily switch between proxies to maximize your anonymity on the Internet.